To fully understand the picture above, think of yourself as the seat of a chair. That picture is what you would see if our kid was sitting on you. 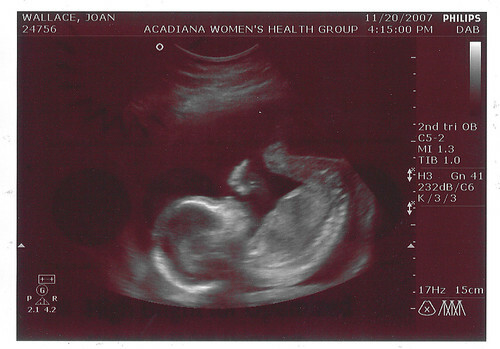 I think we did ok with not getting our hopes up more for either gender. Actually, we both want one of each. The boy thing does workout though, because when we were picking out our crib, it was setup with a pirate themed bedding that Joan really wanted. So, in the ultrasound room she commented, "Now we can get that pirate bedding." Of course people are wondering if she will be cursed like my Mom and never get to hold a little girl. I quickly got one text message asking, "Do Wallaces even know how to make girls?" HaHa Rob (Who coincidentally has a boy. Pot, meet Kettle). Only time will tell if we'll ever be paying for a wedding, and we've got a few more years to try. Now it's time to hit the name books. We went through the boy half of a 100,000+ name list yesterday. Definitely a multicultural book. I now know a whole lot more Indian, Korean, Arabic, and Hindi names than I ever thought I would. I guess its time to pick a nursery color and starting getting that all lined up. We should be able to move stuff into the new room next week, then what is now the office will officially be promoted to nursery. She's starting to feel the baby inside, but still nothing from the outside. Here's a pic of where the baby lives. Can't really tell from the front. But you can from the side. So, Joan is due with our first baby in Mid April of 2008. 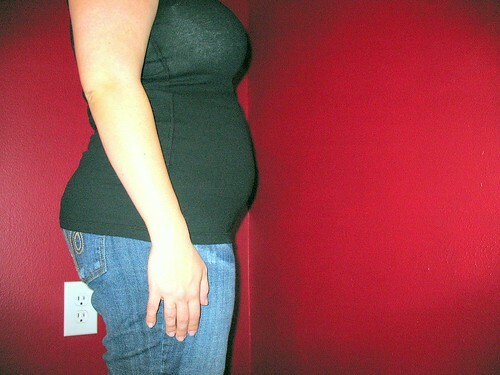 We'll try to use this space for any interesting updates throughout the pregnancy. It is more aimed though as a way to spread some of the thousands of pics I'm sure we'll take of the young 'un. 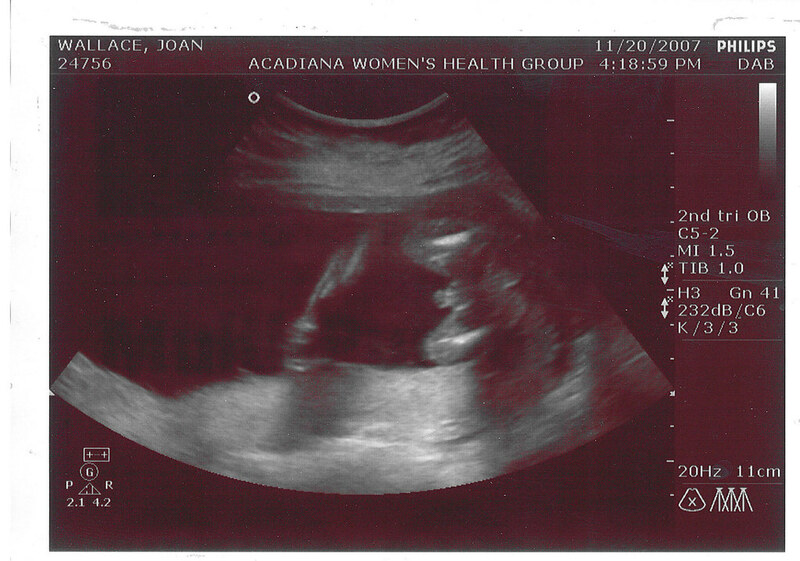 First off , I want to see what everyone's prediction is as to the gender. We find out on November 20th and we'll surely spread the word quickly. So vote over to the right. If you get it right, you will be rewarded with the pride of having won a coin toss.